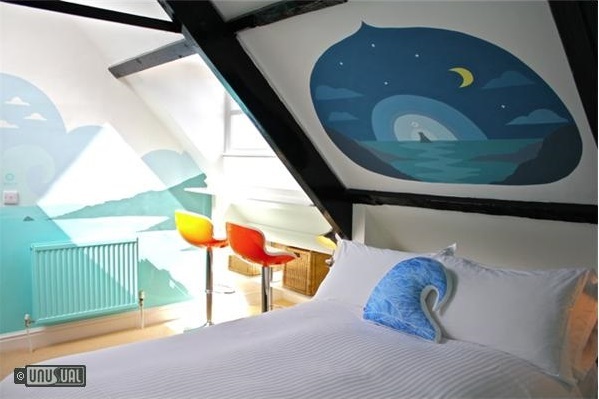 This boutique art hotel in the centre of Penzance, showcases the work of Cornish and British artists who have decorated individual rooms. 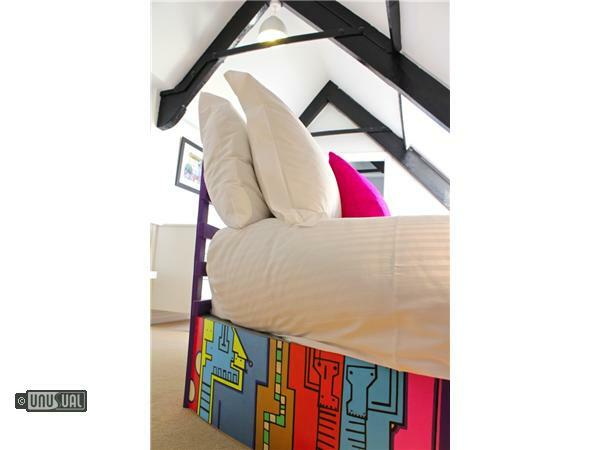 From the tradition of the building itself, a Grade II listed 17th century Georgian Mansion, to the funky and informal art themed bedrooms, Artist Residence has a sense of fun and frivolity. 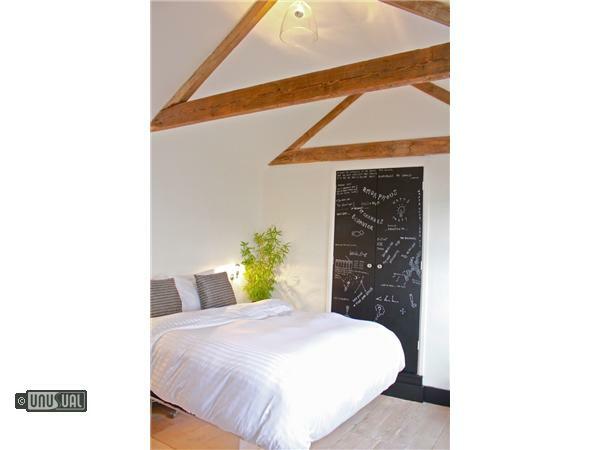 One bedroom even encourages you to leave your own mark, with chalkboards adorning the walls for your own creative effort. 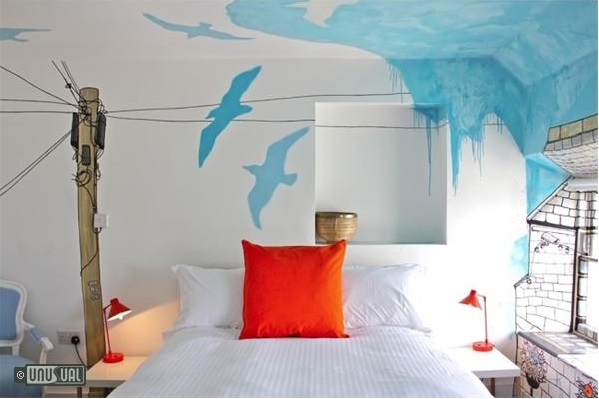 Whether you're looking for a stylish romantic break, visiting Plymouth to enjoy the culture and sights of Cornwall, or perhaps stopping off before a trip to the Scillies, this Old meets New boutique hotel shares a sense of style with hip bohemian vibes. 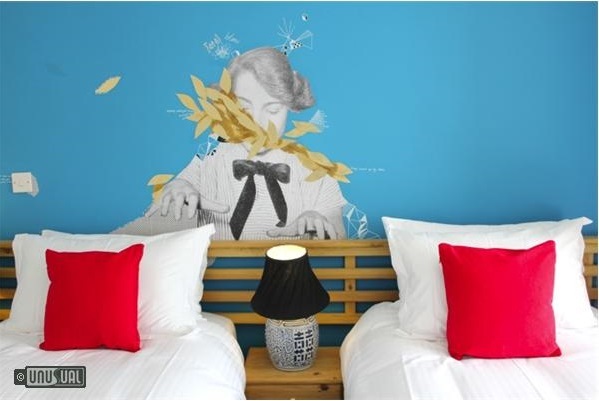 Artist Residence Penzance and sister property Artist Residence in Brighton share a fun and hip atmosphere, where old meets new. 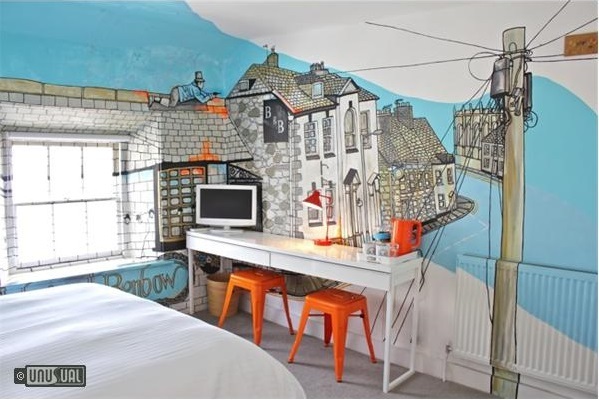 Housed within a Grade II listed 17th Century Georgian mansion, (No.7 on the Penzance Town Trail), these 10 en-suite rooms have a funky, informal vibe – with top notch facilities. 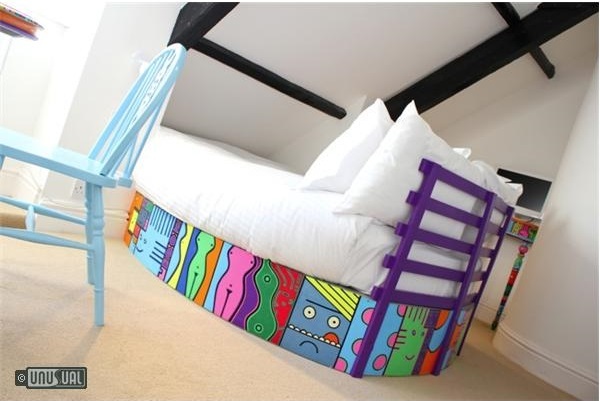 Each of the playful ‘sleep in a gallery’ rooms have been individually designed and decorated by Cornish & British artists from across the country. 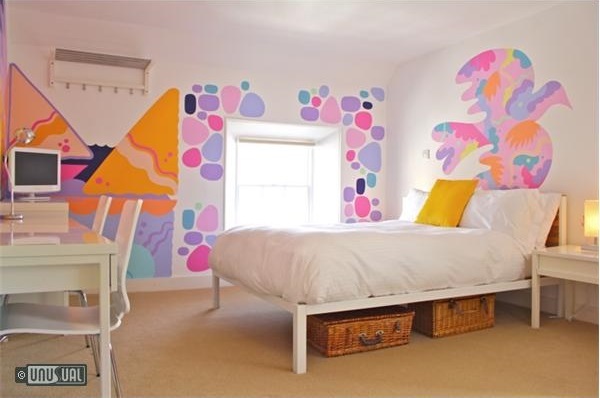 Choose one that appeals to your inner artist - from wacky murals in the Jo Peel room, Pinky Vision pastel sea-scapes, butterfly themed Dolly Divine or cool & chic A.R Blank - where guests can create their own art by doodling on the blackboard walls. Some rooms have views to the sea over the rooftops. Some rooms have beautiful original architectural features such as vaulted ceilings and large Georgian Windows. All are a delight. 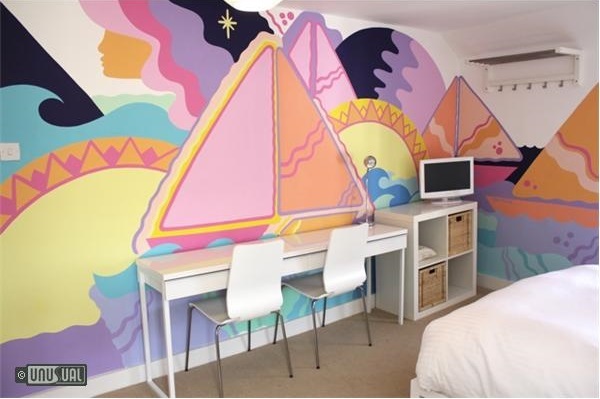 The artistic theme doesn’t stop with artist rooms. 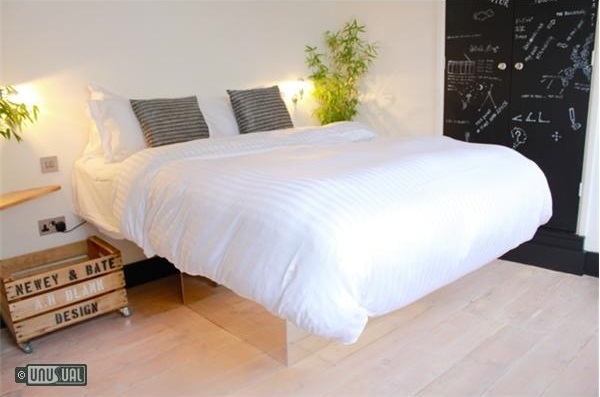 The all-white room on the ground floor serves as an Art Gallery, Shop and Chill Out Area. 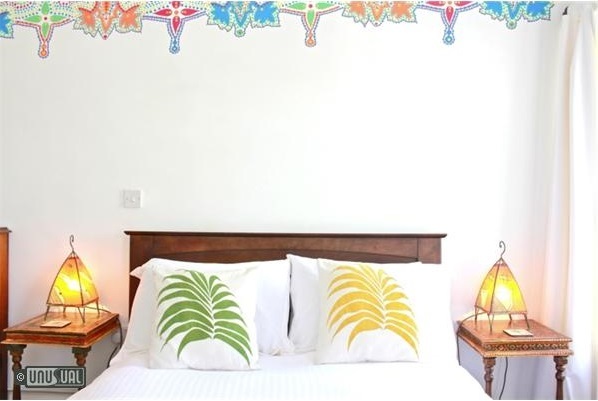 Filled with an eclectic hotpotch of new and recycled furniture to lounge on – guests can feast on delicious breakfasts, packed with local Cornish produce. A continental cold buffet is beautifully laid out, whilst a rotating ‘hot dish of the day’ - with dishes such as scrambled egg with smoked salmon or omelette with honey roasted ham, cooked to order. All are served on a selection of pretty, mismatched, and brightly coloured crockery. Artist Residence breakfasts provide a great start to the day. 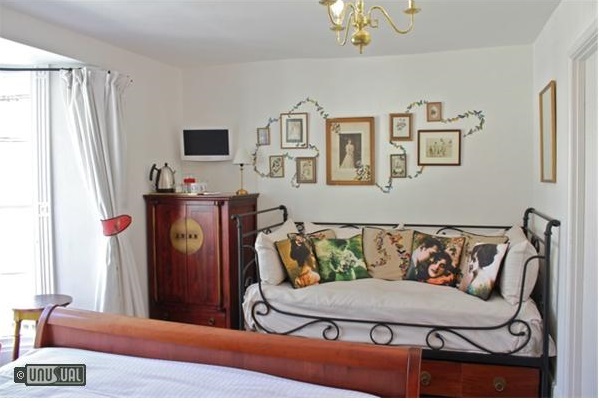 Located in the very centre of Penzance, just 5 minutes from the sparkling sea-front, ferry terminal and rail / bus station. Walk out of the chunky red front door and you are on Penzance’s most vibrant street, crammed with cafe’s, restaurants, pubs, shops and gallery’s. Artist Residence is a great base for exploring Penzance’s bohemian charms and South West Cornwall. From Penzance - a historic port town, explore world famous attractions such as St Michaels Mount, the Minack Theatre and Lands End, as well as the South West Coastal Path for breathtaking walks. Popular towns, villages and beaches such as St Ives, Porthcurno, Mousehole and Sennen Cove are located close by, with Penzance the port of travel for trips to the Isles of Scilly. If you imagine an atom, Artist Residence has art at its core. 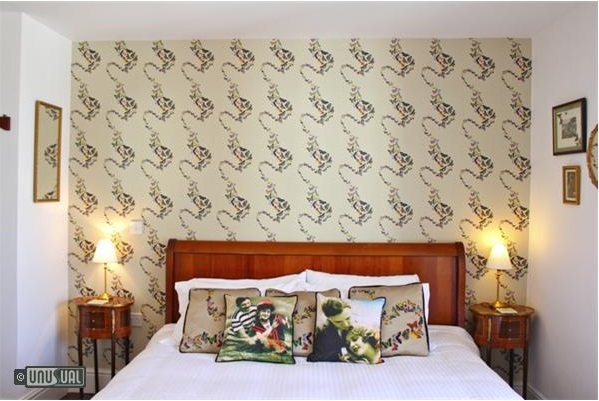 Its not just the artist rooms that are visual feasts, but the whole of the boutique accommodation is filled head-to-toe with art. 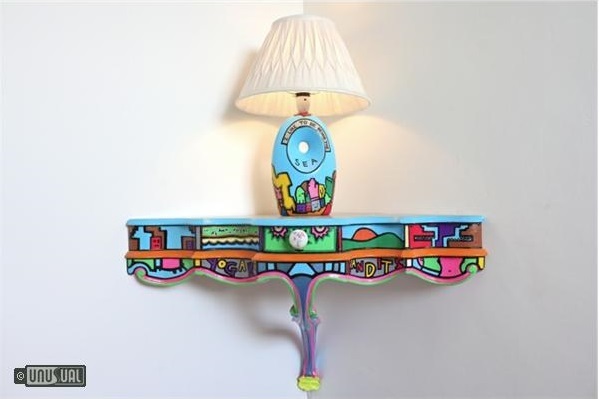 Their Art Gallery shows regular exhibitions and artisan pieces are sold and displayed in their quirky shop space.